Allow customers to interact with your current stock. The ability to rate, favorite and review products helps create a community around your brand. The customer can also create a list of items to reserve for future purchase/pick-up. Having an online footprint is important and allows a business to reach customers far and wide. By providing an e-commerce store, TechPOS adds another stream of revenue to the regular retail business. Since all the products are in a unified Product Information Management system, any product that is sold in-store can also be viewed and purchased online. If any piece of information is modified for a product, that change is reflected in the POS, digital signage and online web menu. We have all seen customers line up for cashier in stores. A well-managed store tries to reduce the line ups by placing right measures. 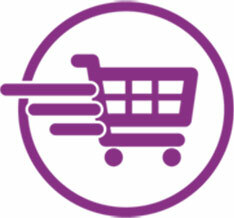 Express Checkout is an in-store self-service checkout system that speeds up the purchase process. Cannabis stores can benefit from express checkout to shorten the purchase time. This improves in-store customer experience which that itself leads to increase in revenue. Moreover, express checkout saves space as it’s a handheld device. Retail stores don’t need to install bulky cashier stations to fulfill purchases.